Santa Catarina in southern Brazil has been the boom state of the South American country over the past 20 years. Its mix of fine beaches, idyllic islands, lush vegetation and new Dubai-style skyscrapers have made it a premier tourist destination, and of course the youth of the area — whether resident or visiting — want something to do of an evening. In 2007, some enterprising locals decided to throw a rave in the middle of the jungle — well, a valley, to be precise. A green one. Looking to deliver “a unique experience at a unique location”, they booked none other than Carl Cox to headline their first event. It went so well and created such a buzz that they began booking other top DJs such as Tiësto, and creating some infrastructure to make it a more permanent spot. Within three years, Green Valley had shot into the Top 100 Clubs poll at No.27, and within another three years, it was the world's No.1. Quite a meteoric rise! Staying in the top three of the chart all decade, it scooped the No.1 slot again last year and has retained its title in 2019. So it's congratulations to all at Green Valley — an incredible place to party. Walking up the hill from a car park, it's initially like entering an enchanted wood. A large trophy cabinet displays all the awards they've won as you head towards the main arena, and GV even have their own high-end souvenir shop selling all sorts of merch — from tees to glasses to caps, all bearing their distinctive butterfly logo. As soon as you start wandering around, you're immediately struck by how Green Valley is more like a boutique festival than a traditional club — populated by swathes of beautiful people. The main arena is a huge permanent structure covered by taut heavyweight tented canvas and plays host to a load of international names throughout the summer months. 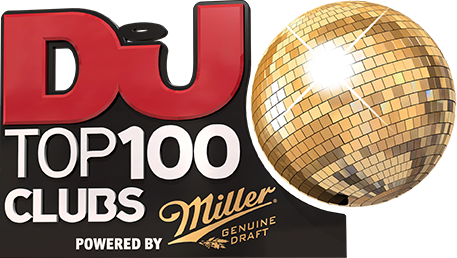 Martin Garrix, Fatboy Slim, Claptone, Markus Schulz, Steve Angello and last month’s DJ Mag UK cover star Fisher are just some of the big names to have rocked the main arena over the past 12 months, and when you have homegrown superstars such as ALOK and Vintage Culture as residents — both Top 100 DJs acts in their own right — you know you're onto a winner. In fact, Green Valley's reach has been instrumental in catapulting these two DJs (and others) into the international rankings in recent times. An amazing soundsystem is augmented by several LED walls transmitting cutting-edge visuals triggered by the various in-house VJs, and when you add in CO2 cannons, lasers and other special FX you get an amazing, immersive, festival-type experience here. Walking down the site, past the lovely lake, you come to the Underline stage — where more underground DJs play. With residents Fabricio Pecanha, San Schwartz, Full Duplex and sometimes Brazil music legend Rodrigo Vieira — when he isn't on the main stage — catering to the more discerning house and techno fans, this area is also a great place to party. It too has received a backstage makeover in the past 12 months. Further out and up the site, you come to the Lagoon Stage, which also resembles a festival stage. This is predominantly where bass artists ply their wares, and when it's open the club is at full capacity. With assorted bars, chillout areas and more around the site, it really is like a mini-festival in paradise. Buoyed by their international recognition, Green Valley have taken the brand on tour in recent years — to Asia, Europe and beyond — to give people in other parts of the world a glimpse of the Green Valley experience. Did we mention the beautiful people? During the Top 100 Clubs voting period, their support was boosted again this year by having Brazilian footballer Neymar — a fan of the club — posting support for GV on Instagram to his 112 million followers.